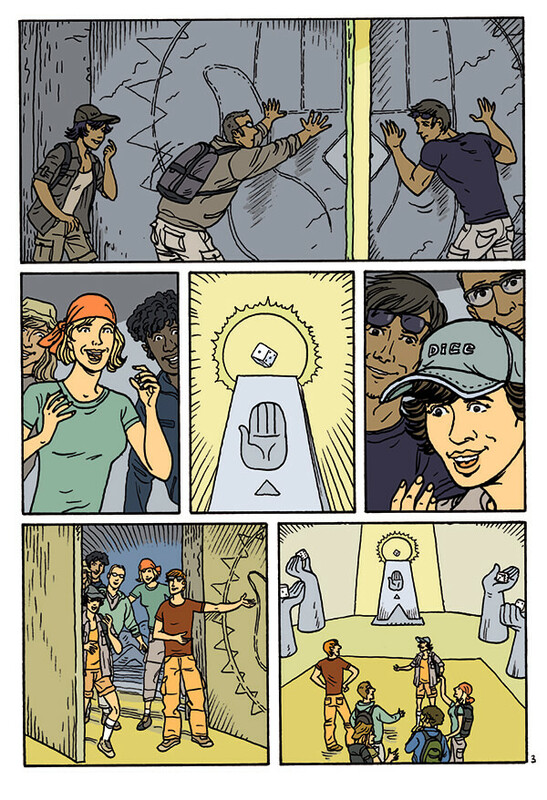 Rolling dice goes back to ancient times. Unlike the majority of customs which started in one location and then spread to others. Rolling dice appeared independently all over the world. 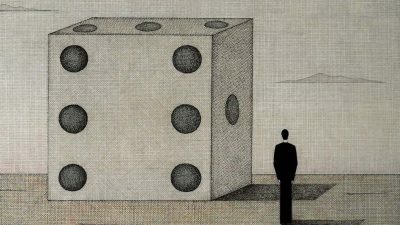 This symbolic fact showing the universal appeal of the dice, and its simplicity made me think of the dice as a model for the visualisation and analysis of any projects for use both by teams and individuals. I hope that it will be helpful in real life even if it is created in virtual reality. My greatest wish is to create a space for listening, sharing, respect and creativity. 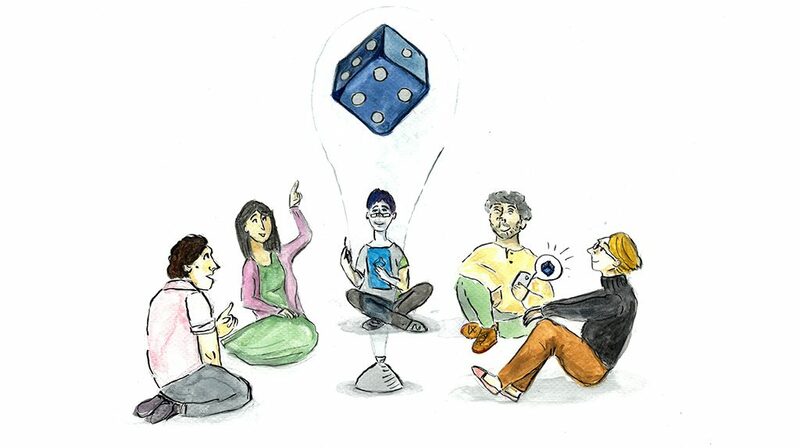 Think of a dice as a symbolic model for something that needs to be worked out. Its shape represents a mathematical wholeness. It is basic, reliable, stable, solid and… simple. Each side shows a different number of dots. Each side represents a different result or, perhaps, a different perspective that could apply. However, when we roll the dice we only ever consider the side that lands face up. We forget about the other sides and the other perspectives that could be. With this in mind, welcome to the Dice Dilemma concept. In this model, a dice represents a whole picture. Now think about teams. Each team has someone closest to the dice with the rest of its members lined up in single file behind him/her and influenced by their side. Now let the dice roll! Let’s take the dice challenge! Please let it inspire you to visualize any issue, change directions, distances and perspectives and find other circumstances to help you address the case. Try to adapt the model to real life. It could be both a team perspective as well as your own personal view when observing any project by yourself. 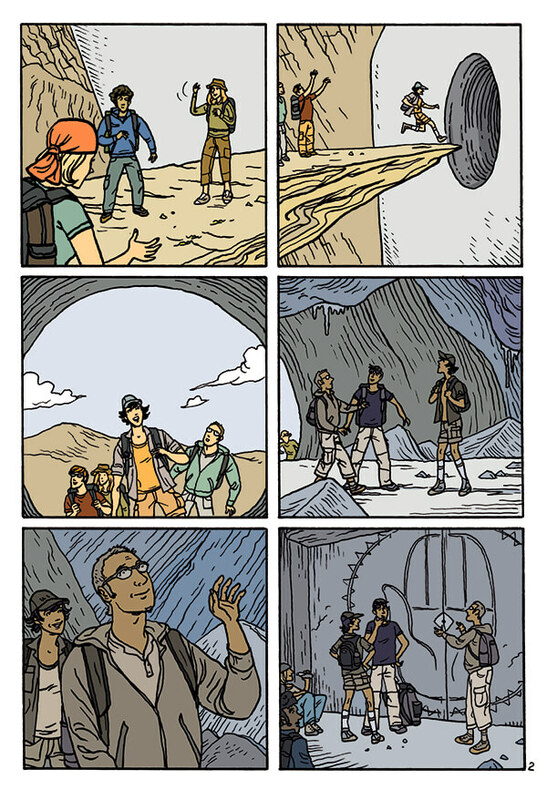 Rolling dice goes back to ancient times. Unlike the majority of customs which started in one location and then spread to others, it appeared independently all over the world. 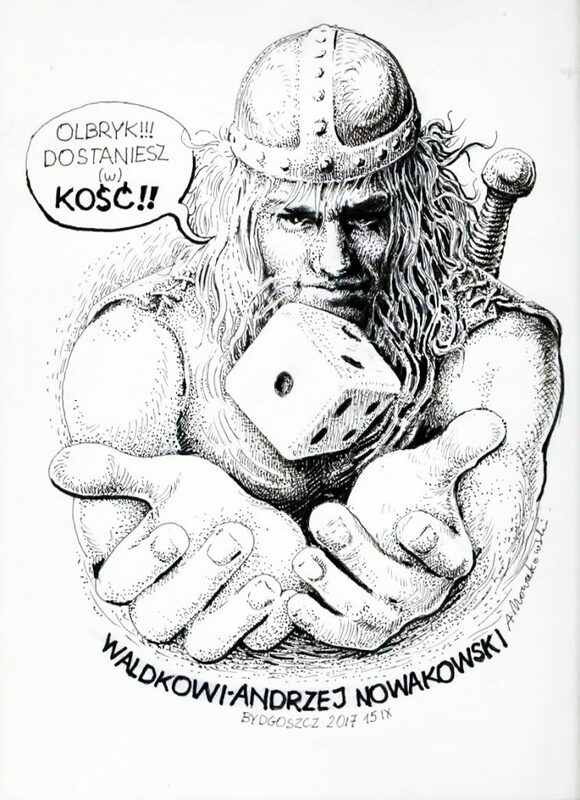 Music with permission : Marek Biliński from „BEST OF THE BEST”, track "Dom w Dolinie Mgieł"
Ancient Greeks and Romans were keen dice players. They usually used astragali – four-sided anklebones of farm animals. Even the rulers of the Roman Empire liked this entertainment and, with the spread of gambling, changes had to be made in the Roman law. 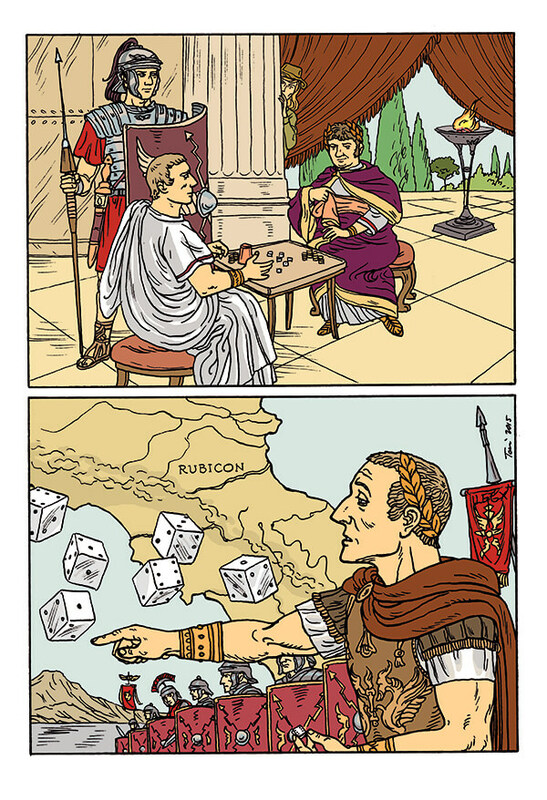 After the fall of the Roman Empire throwing dice continued to thrive. Moreover it is in the Middle Ages that the mania of playing six-sided dice spread across Europe and the Chinese invented dominoes by flattening dotted cubes. It was common to .. take lessons in schools that taught effective dicing. 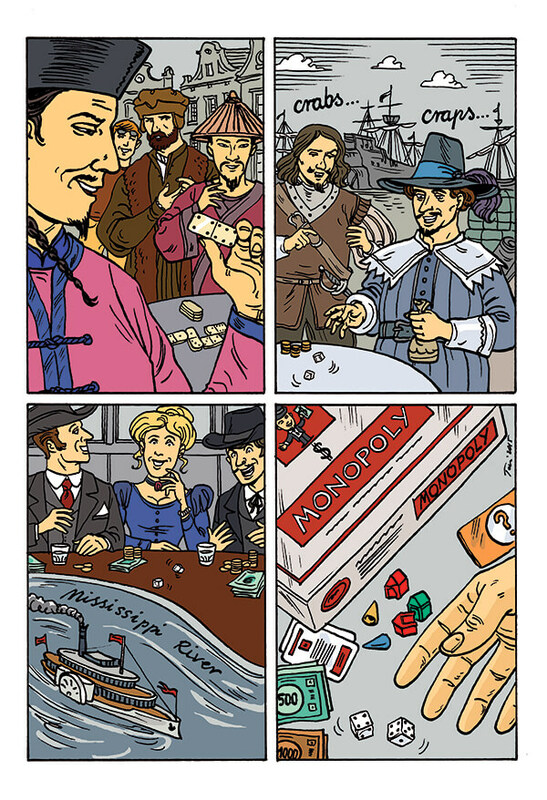 Land and sea intercontinental trips contributed to the spread of dice games as well as of dominoes which descended from dice, thus finding new fans. 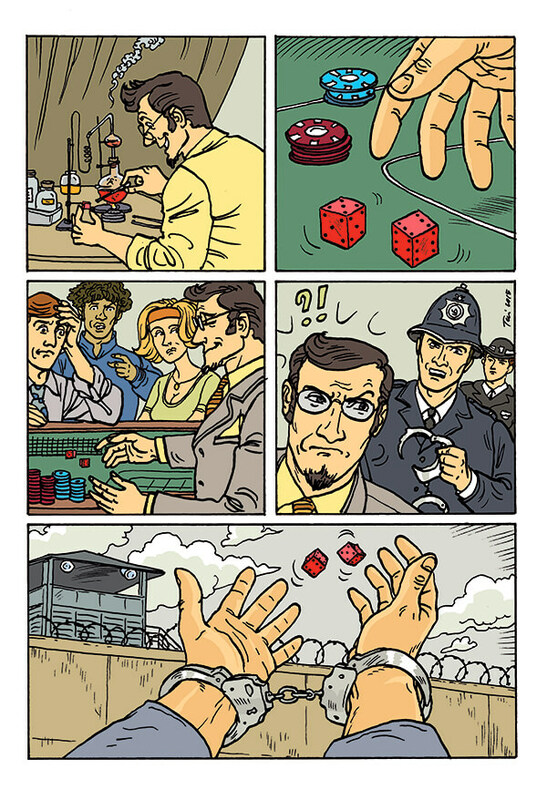 In North America throwing dice took place not only in homes or bars, but special legal gambling facilities were created – the casinos. Dotted cubes also found a new, popular application i.e. in board games. Winning while playing with dice depends, above all, on luck and not on the player’s skills. Already in Antiquity we find the evidence that players used different tricks to help their luck. It has to be said out loud – for centuries, while dicing, people cheated. 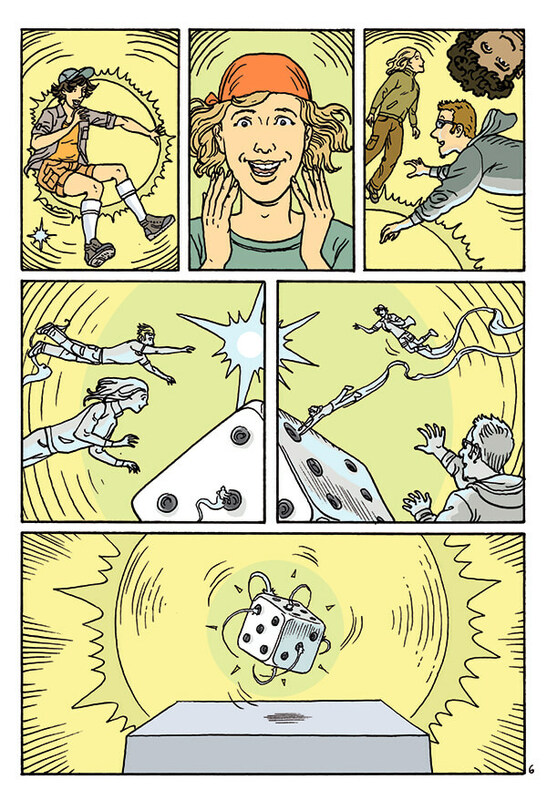 The most popular die for playing is a six-sided one, called by players d6. 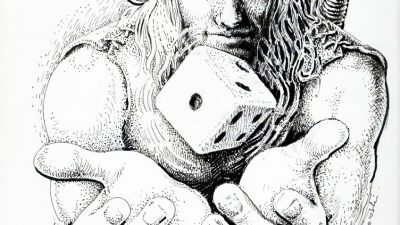 The emergence – on the one hand of plastic, on the other of all types of boards games, fiction and battle ones – led to the creation of all kinds of dice, even as strange as the almost round one - d100. 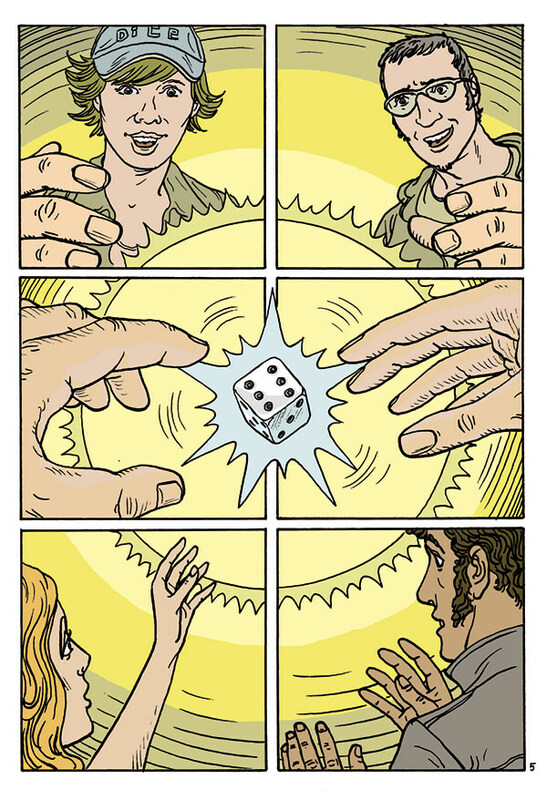 The Greeks, especially the upper classes, often played dice in their spare time. Also Greek warriors liked to kill the time dicing - like during the siege of the famous Troy which lasted several years - when they did not have to defend themselves or to attack. 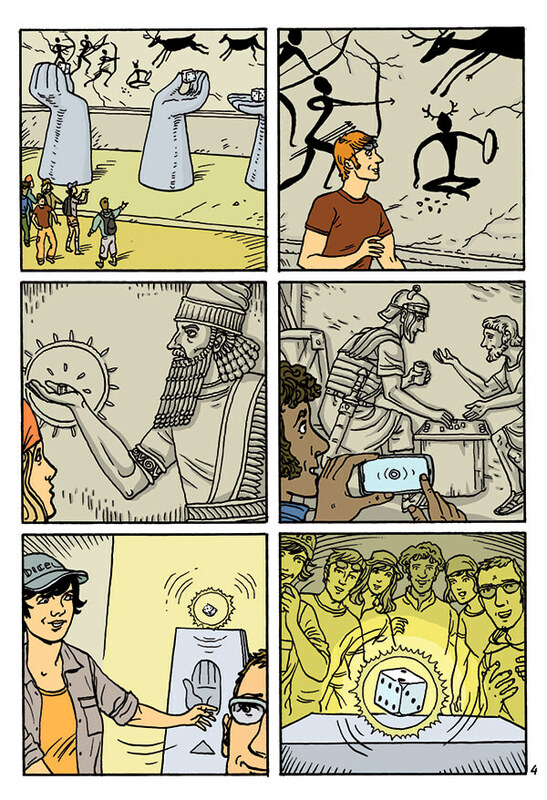 No wonder that such a popular form of amusement was quickly adopted by the citizens of the emerging Roman State. These were the Romans who adopted astragali as the basic tool for gambling in Antiquity. Four-sided dice were made not only of animal bones but also of wood, ornate stones or they were cast in iron. Dicing was officially allowed during the Saturnalia which took place in December. 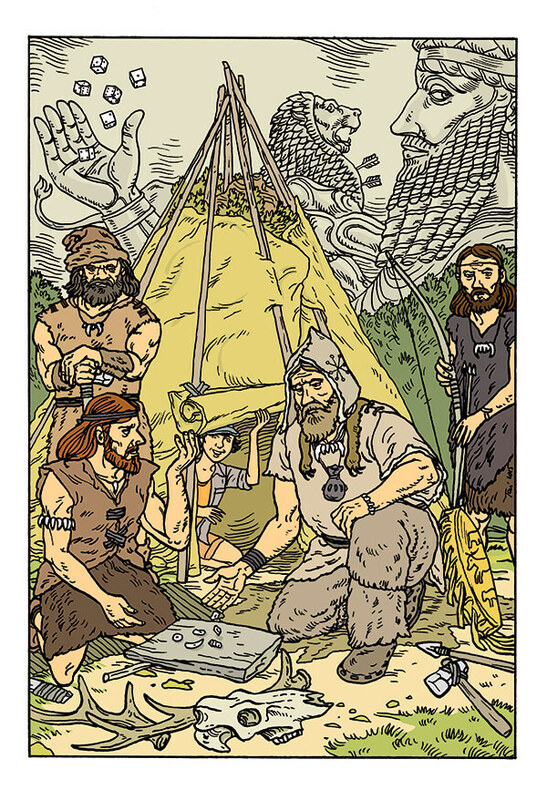 However this holiday lasted only a week, which was not enough to satisfy the Romans’ love for gambling. Thus illegal dicing took place all year round. It is hardly surprising as even the rulers of Rome loved astragali. The famous phrase “alea iacta est” i.e. „The die is cast.” spoken by Julius Caesar crossing the Rubicon confirms this fact (meaning that a decision is irreversible just like it is impossible to abandon the game having cast a die). Emperor Claudius not only wrote a funny handbook for players but also had a special table to play in his litter. Whereas Marcus Aurelius took with him his personal croupier every time he left for a longer journey. The omnipresence of gambling and the appearance of all kinds of cheats alongside, often led players to court. There were plenty of such trials and this led to a new provision in the Roman law – a person who allowed gambling in their house did not have the right to bring a suit even if they were cheated or assaulted by other players. This merciless law was of no use as gambling thrived in Rome as well as on the territories conquered by the legions. However dicing captured most of all the hearts and minds of the Germans, who not only lost a lot of money or all of their possessions, but even their personal freedom. It is considered that playing with six-sided dice – following rules similar to the contemporary ones (like in casinos) – is a 12th century invention of the English. While crusading, during endless sieges of fortresses, throwing dice was the main pastime of knights. In Arabic it was called “al-zahr”. Most likely this word led to the creation of a dice game “hazard” that the crusaders brought from the Orient to England and which immediately made a hit all over the Isles. Even guilds of professional players were founded and the game itself was taught in special schools. 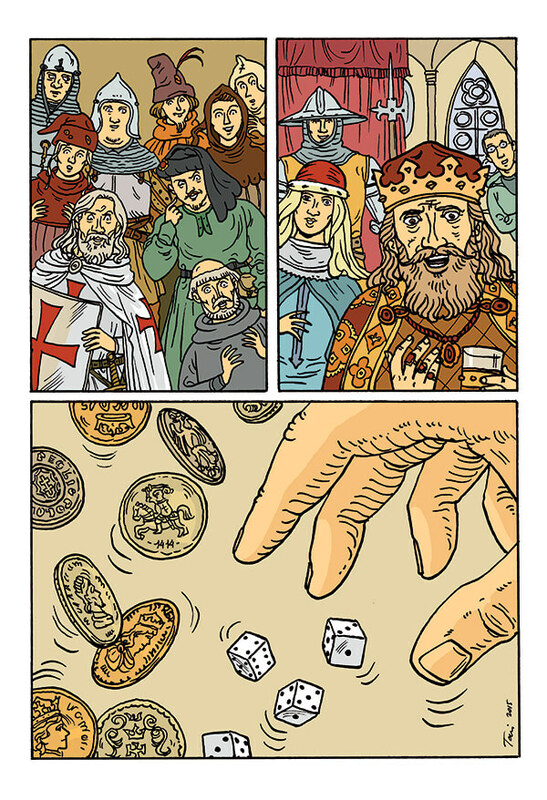 Also the English kings were partial to dice – Richard the Lionheart and King Henry VIII liked to gamble and the latter lost the bells of old St Paul’s church on a throw. Quite fast this amusement that stirs strong emotions came to continental Europe. French sailors gave it a new name: “crabs”. Through France the new trend to throw six-sided dice spread to other countries – and together with chess – it became the favourite entertainment of all, not only the upper classes. Landsknechts – German mercenaries fighting in different armies all over Europe – established a reputation as the most notorious gamblers of the Middle Ages. Gambling lovers (indeed dice is played mainly for money) were not scared away by edicts or other laws issued by the Church, whose opinion was very much counted on in the Middle Ages. When the third crusade set off in 1190 to the Close East, in the beginning knights were forbidden any games for money, but eventually they were allowed to lose 20 shillings a day at the most. Did they follow this limitation? Most likely they did not, just like the clergymen, who despite bans and heavy sentences threw dice betting significant amounts of money. Chinese dominoes, even though already known in Europe since the time of Marco Polo’s travels, became a popular amusement only in the 18th century, next to rolling dice, chess and cards. 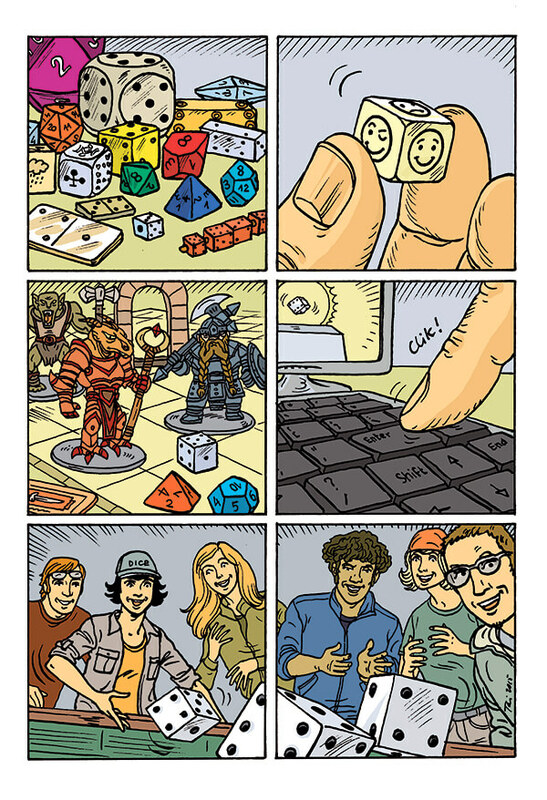 Around the same time, six-sided dice reached North America. French sailors, while waiting for setting sail e.g. in New Orleans, devoted this time to their favourite pastime – the game called “crabs”. Local population used to watch them throw two dice. They heard the name of the game pronounced by the French as... “craps”. This name stuck to the dice game, which in the beginning was popular only in the south of the continent but later took possession of the souls and minds of all Americans. Eventually gambling was banned in America altogether. The most determined gamblers found an issue – they used to meet on big steam boats sailing the Mississippi. Also many illegal gamblers’ dens appeared. It is only in the beginning of the 20th century that gambling (and also dicing) was partially allowed in the USA. This led to the emergence of such resorts like Reno, Atlantic City or the most famous one - Las Vegas. It was America as well that found a different, mass application for the six-sided die. We know well that some board games have existed for thousands of years. However the creation in 1933 of the game “Monopoly” introduced new quality to this field. Throwing dice and moving tokens according to the number of dots gained a new meaning. Over time, next to thousands invented board games, battle and fiction games were also created where dice with several sides play an important role. 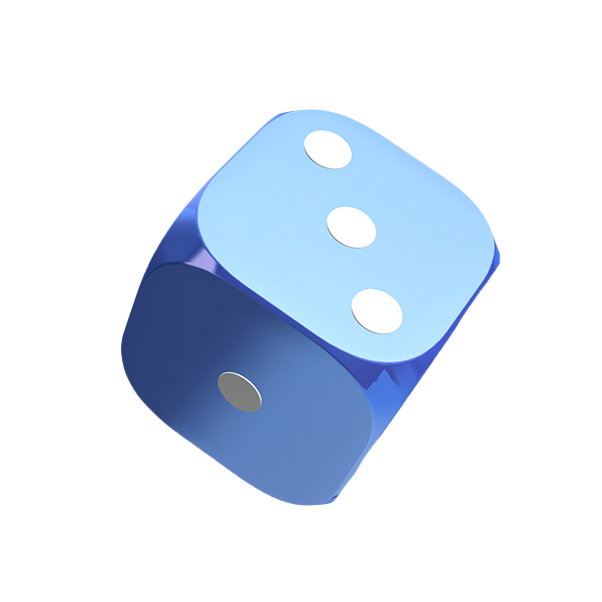 The emergence of modern technologies also impacted dice – you may now throw dice virtually, using a computer and the Internet. Dishonest play with dice was certainly known in Ancient Rome. This is confirmed by artefacts found where Pompeii destroyed by Vesuvius once stood. Historical sources show that the Emperor Caligula was among those who used crooked dice (even though he still lost and unfortunately cruelly avenged on those who dared to beat him). 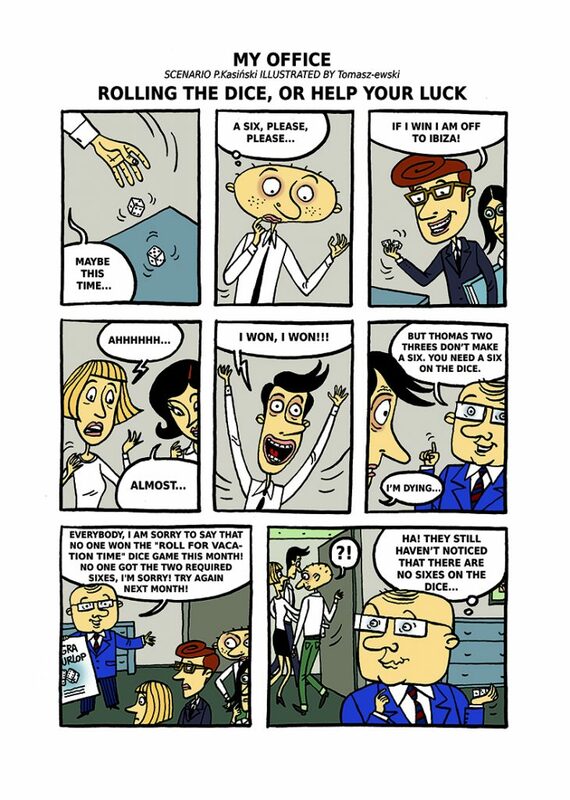 The most popular method of crooking a die is to move its centre of gravity. The easiest way, but also the most visible one, is to file one edge of a die off. This will make the cube fall more often on specific sides than on others. One can also place a small weight inside the die. However there are methods which are far more difficult to be detected, used by crooks who make their living out of cheating. Ducts are drilled in a die and a drop of mercury is inserted. Later – during the game – the die is tapped to make mercury move towards a precise duct, thus changing its centre of gravity. A similar effect may be achieved by placing some wax in the cube. By rubbing a die or by warming it up in your hands you will make it fall on the selected side. A much less sophisticated method, but also encountered, is to mark a second “five” or “four” in place of “one” or “two”. However, nowadays, in official casinos, people do not cheat while playing with dice (as opposed to cards or roulette). This is mainly because of rules of the game introduced by John A. Winn, the producer of dice. He introduced the s-called “don’t pass” betting option which made cheating not worth it. 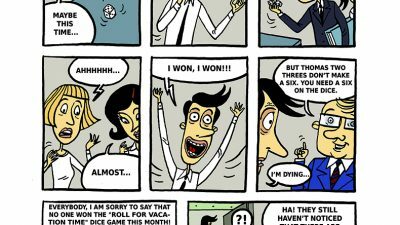 And cheating is completely impossible in the case of virtual casinos where you “throw” dice with the help of a computer. As it turns out, even the most known six-sided die may have many variations. Except for the standard one, there are many others e.g. poker dice (with playing cards printed instead of dots), dice with images used mainly in fiction games, battle ones (so-called “scatter dice”) to randomly indicate e.g. the direction for the army to follow; Japanese with symbols instead of digits and even Kamasutra dice marked with illustrations from the ars amandi manual. Polyhedral dice are most often associated with Role Playing Games (RPG). The most popular ones – next to d6 - are d4, d8, d10, d12 and d20. This set of dice is used, among others, by fans of RPG “Dungeons & Dragons”, “Deadlands” or “The Call of Cthulhu”. There are more than 90 different shapes of dice. Among them are those that look like a cylinder which rolls instead of being thrown. 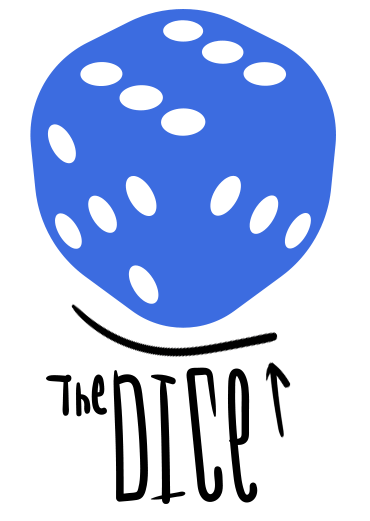 Dice are produced with 60 sides at the most (except for d100 that looks more like a sphere). Also materials used for making dice are of all kinds. In ancient Rome there were dice made of wood, metal or ivory. Right now they are usually made of plastic. Professional dice for casinos are made of cellulose fibres. Those for collectors are made of gold or amber. You can still encounter wooden, rubber or stone dice. 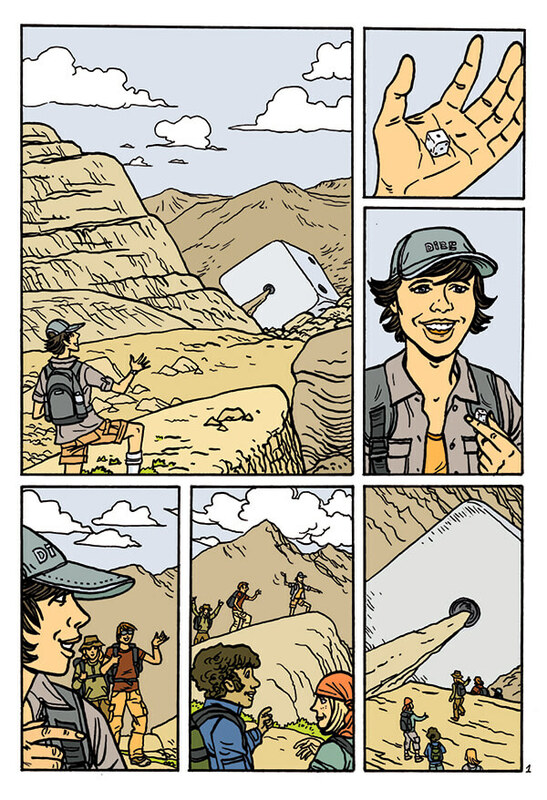 Moreover, there are still places in the world, where players – like thousands years ago – use dice made of animal bones. This diversity proves that dicing, one of the oldest amusements of the mankind, is still very popular. Zoom in and zoom out on the dice. Compare how you see your side of the dice (zoom in) to how others see it (zoom out). Now define and prepare to share your side (what the scope is, what the limits are, what it is, what it is not). You can take an individual perspective and assume your side alone is right or... You can assume that others see things differently and common ground can only be found by exploring these differences. Let’s look around the dice thorough the perspective of everyone involved. Think about cooperation between different teams working on the same project , coordinating and influencing each other in every direction. Let’s look around the dice at the teams. Take everything into account at one time? Use the drone view and visualize the whole. Leave a space for personal development and own ideas on how to work for the team. Assume that everybody needs to grow and work toward its own goals. Work together and create results that each team member cares about. Have courage to admit that you do not know, ask for help. It’s all about synergy and co-creating together. It’s this that makes learning fun. Check if synergy works. Remember about respect and listening to others. Be smart. I would like to thank to all authors and contributors. 1. THERE’S A BUG IN THESE DICE ! Olbryk you will have a hard time !!! A very important part of my gratitude goes to Ala, Ola and Krysia for believing in me and whose friendly comments, difficult questions, smiles and patience made it all possible.